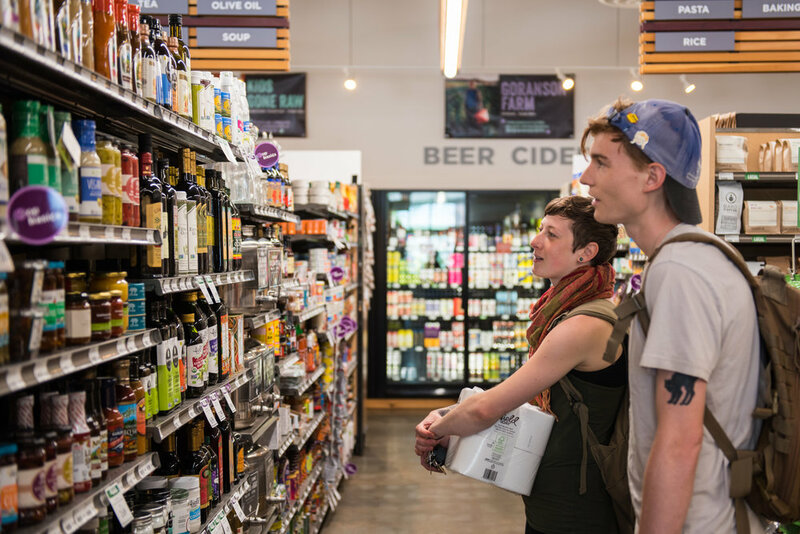 We are grocery store, owned by thousands of community members and open to the public, that offers a wide selection of local, organic, and natural foods, health, beauty, and household products. We are dedicated to supporting local farmers and producers, serving our community and building the local economy. All are welcome at the Co-op; We would love for you to become a Member-Owner, but it is not required. We want everyone to come visit, shop, and experience what we are about. As a cooperative business, we are owned and democratically controlled by the people in our community (like you), and profits are used to help the store better serve our community’s needs. We aim to develop and sustain our local economy, support local and organic farmers and producers, connect them to consumers, be a educational resource on food and health issues, and care for our employees the best that we are able.